Congress spokesperson Jaipal Reddy also condemned the raids and arrests saying no human rights activists should be arrested without a case. 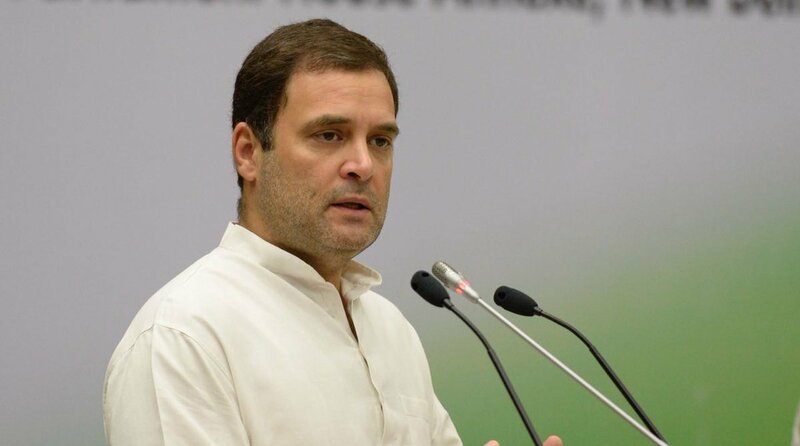 Congress president Rahul Gandhi hit out at the Central government on Tuesday over the arrest of prominent activists for suspected Maoist links, saying there was place for only one NGO — the RSS — in the “new India”. In a major crackdown in connection with the Bhima-Koregaon riots case of January 2018, the Maharashtra Police raided the homes of various activists in several states on Tuesday and arrested at least five of them. “There is only place for one NGO in India and it’s called the RSS. Shut down all other NGOs. Jail all activists and shoot those that complain. Welcome to the new India,” Gandhi said in a tweet with the hashtag Bhima Koregaon. Earlier, Congress spokesperson Jaipal Reddy condemned the raids and arrests saying no human rights activists should be arrested without a case. “I condemn those arrests in unqualified terms. No human rights activist should be arrested. For that matter, no Indian can be arrested without proper case. “I defend the rights of everybody, more particularly human rights protesters. They are selfless NGOs, activists, who are obliged to fight the enveloping darkness of dictatorial tendencies,” he told reporters when asked about the arrests of some activists by the Pune police. The raids took place at 10 places in Mumbai and Pune in Maharashtra, Goa, Telangana, Chhattisgarh, Delhi, and Haryana. Those arrested include Vernon Gonsalves, Arun Ferreira, Sudha Bharadwaj, and Gautam Navlakha. Activists Sudha Bharadwaj and Gautam Navlakha have been put under house arrest, while others will be produced before a court in Pune today.